William H. Curtis offers legal representation for personal injury suits to individuals in Austell, Georgia and throughout the nearby region. Our accident attorneys have been dealing with these types of lawsuits for more than 30 years, and you can count on our expert team. We are dedicated to helping you find the best possible outcome. If you have been in an accident, we'll make sure your insurance provider follows through. It's recommended that you get medical attention, even if you don't seem hurt and call a personal injury lawyer from Curtis Law as soon as you can. When a commercial truck experiences an accident, normal sized vehicles are at a higher threat of injury or death. 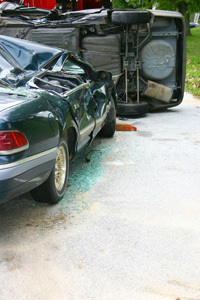 Most accidents are caused by human error, technical breakdown, intoxication or inability to preserve car requirements. No matter what causes the accident, our legal counsel will find fairness for you and your family. It doesn't matter how you make your living, accidents happen at work. You have specific rights that guarantee reimbursement. ﻿Injuries on the job﻿ can create recurring pain in the head, back and neck, and can also lead to loss of or harm to hearing and sight. William H. Curtis will help you receive the short or long term compensation that you need and deserve. When you drive a motorcycle, you can purchase high-quality protective equipment, but sometimes it's not enough. If a helmet is faulty or the strength of the accident is bad enough, the protective gear won't stand up to the road, vehicles or buildings. As a consequence, motorcycle accidents can result in serious injuries and fatalities. At Curtis Law, our personal injury attorneys have the essential skill to take care of cases that involve major or fatal motorcycle accidents. Slip and fall accidents can happen at any point. These events can happen at work, at a mall, at a bank or in a parking lot. Most slips and falls result in minor damages like cuts and bruises, but sometimes injuries can be serious. Major injuries like head trauma or broken hips can mean living with an enduring or debilitating condition that affects everyday life. It's important to know that you have personal rights in these cases. Call our injury lawyers today and we'll give you the help you deserve. If you are seriously injured from an accident or someone you love was hurt or killed in an accident, we understand how distressed and anxious you feel. William H. Curtis personal injury law firm is here to consult at a no-charge consultation, and we won't pressure you into a settlement you don't want. If you live near Austell, contact William H. Curtis today.